This time last year I had just started my new job as a Case Manager at The Dwelling Place, a non-profit to help women transition from abusive relationships. At that time, I was thinking that I'd be instructing my last few LIVE CLASSROOM insurance CE courses for Bryan Ventures and it may be the final time I would see the great many insurance agents I've come love, but there was a very different plan for my life and I couldn't be more excited. I simply cannot tell you how great it feels to be back teaching classes for Bryan Ventures. Many of the fabulous insurance agents of Minnesota and Wisconsin have joined us at our spring classes. At all locations, I was blessed to see so many faces that I've come to know and love through my years of teaching insurance continuing education. Many of these professionals attend our live insurance CE classes each year without fail. To me, it's like a joyful reunion each and every year! This year, like years past, we've seen a few new faces in our insurance CE classes. These "newbies" (as I love to affectionately call them) found out about our live classroom insurance CE courses via the web or through a referral from you, our loyal insurance agents. The referrals you've provided has always been the BEST means to get new agents to our classes and the endorsements you've provided are such a blessing. I've also been blessed to see a number of agents logoff of our online insurance continuing education courses and come back to the classroom. WOO HOO! Agents I'd only seen by name on my computer screen in an online order or via a web-based CE course completion actually showed up live in our classroom insurance CE courses and what a treat it's been to see them. I hope more of you come back to the live continuing education classes. In all honestly, I miss seeing you. Maybe even consider picking up just a day of live classroom continuing education and then do the remaining CE credits online. DULUTH: Class is held right on the shores of beautiful Lake Superior with all the fun Duluth has to offer just minutes away. BEMIDJI: The picture to the right was taken right outside our meeting room doors. Need I say more? 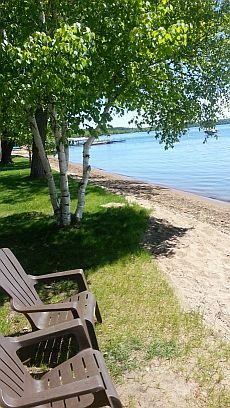 BRAINERD: We are in the heart of the Lakes Area at Cragun's resort with all the golfing and boating fun. ALEXANDRIA: This year we decided to mix it up and we are hosting class at a local golf course just minutes from the lakeside resorts. LA CROSSE: Nestled in the Mississippi River Valley, this area offers some of the BEST hiking, boating and shopping in the area. GRANITE FALLS: For those that enjoy a bit of gambling fun, these classes are hosted at Prairie's Edge Casino. DETROIT LAKES: This autumn, join us on one of the most beautiful lakes in Northern Minnesota to take in the picturesque views.